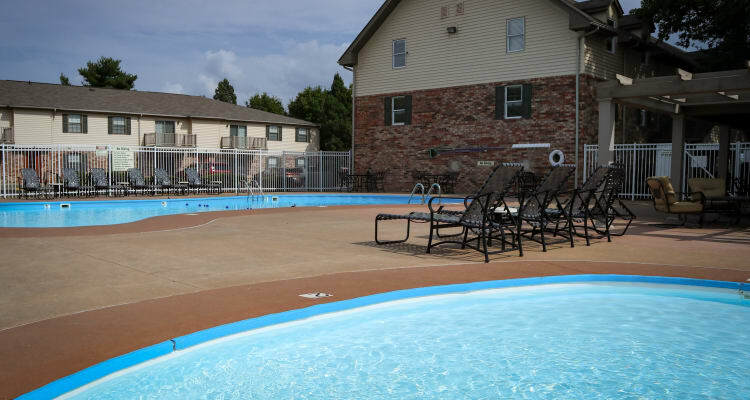 Amenities abound at Village Green. With our sparkling swimming pool, we've got you covered on hot summer days if you want to take a dip to cool off or to work on your tan. If you like to stay active, we offer a full state-of-the-art fitness center that features cardio and strength training equipment. We also have two tennis courts and a basketball court to stay in shape while enjoying a beautiful day. For those that would rather spend their free time inside, we've got a three-story clubhouse that has a billiards table and flat screen television. Each of our one, two and three bedroom apartment homes and two bedroom townhomes is designed with comfort in mind. Several of our floor plans include washer and dryer connections and wood-burning fireplaces. Spacious living rooms and separate dining rooms are accompanied by well-equipped kitchens and ample storage space. Village Green is also proud to offer pet-friendly apartments.